I love Doritos and I’ve blogged about my love of new and retro flavors before. 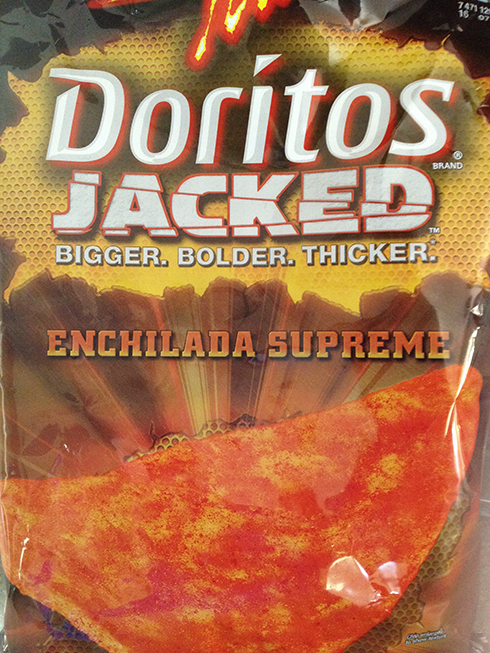 So it should be no surprise that I found another new flavor to try: Enchilada Supreme. 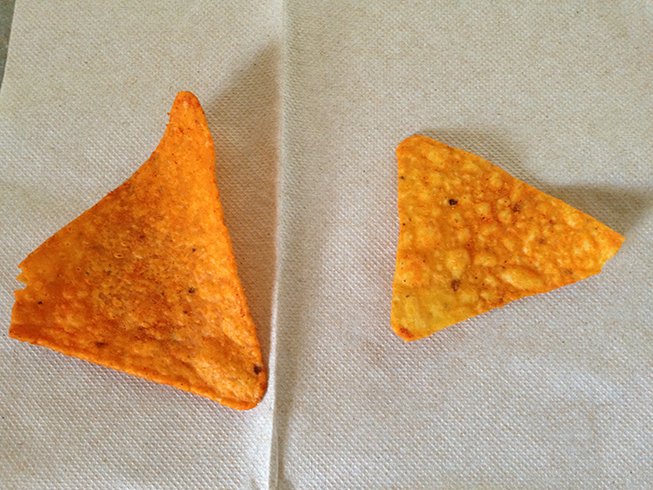 This new variety of Doritos are bigger, as the photo shows above. And they have a different thickness and texture to them, compared to all the standard available flavors. And speaking of the flavor, these have a nice little kick to them. Not mouth-burning, but a spice that you might normally find in an enchilada, which is a nice touch. The bigger size also means that you can’t shove an entire chip into your mouth without breaking it first (or ripping the sides of your lips). As for dipping these in any kind of salsa, it works well, but again, it’s the size of the chip that needs to be reduced before dipping these things. At least that’s been my experience with most larger chips of any type. My other drawback to these: they leave your hands a yellow-orange like color. Keep a wet nap nearby if you plan to wear white or other stain-inviting clothing. So will I buy these again? I think so as I liked them. They have a good flavor, not overly spicy and are a thick crunchy alternative to regular chips. I had these last night! I agree with your assessment of them. Lots of yummy cheese left on the fingers, too. The level and amount of cheese that is on these chips is a lot, that’s for sure.